In truth, we don’t know. 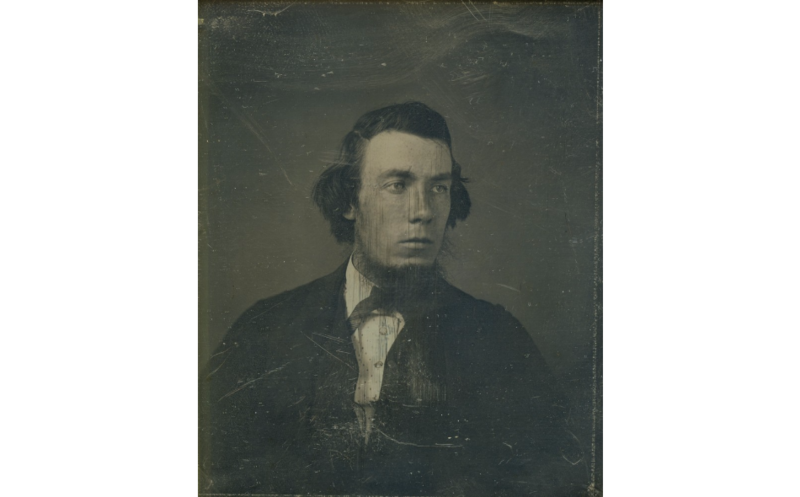 Neither does the Missouri History Museum, which has this image labeled as “Unidentified Man.” It was apparently taken by Thomas M. Easterly, a Vermont native who took up daguerreotyping. Easterly was an itinerant photographer until he settled in St. Louis in 1848, opening a studio that operated until the late 1870s. At some point, probably about 1850, this gentleman walked into the studio, sat down in front of Easterly’s camera, and had his portrait taken. Unfortunately, his name was not attached to the picture, a not-uncommon occurrence in the Easterly collection at the Missouri Historical Society, which includes 284 other photos of unidentified persons. With Easterly and the unidentified man both long dead, it seems unlikely he will ever regain his identity. Could this be Robert, circa 1850? Then again, maybe he will. Does he maybe…look like someone familiar? Maybe like…Robert Campbell? Let’s make it so the images are facing the same direction, put them side-by-side, and see what that looks like. Is this Robert Campbell circa 1850? Is this the photo of a 40-year old Robert Campbell? Our staff and volunteers are pretty divided on the issue. For some, the eyes and eyebrows are the clincher, as they seem pretty Robert-like. Or maybe the distinctive spacing and shape of the philtrum. Others of us are less sure. Does the nose seem right? Is the unidentified man’s face too lean? If only Easterly had provided a name! In this overlaid image all that was done was to flip the mystery image as noted above and then some simple proportional sizing on the Robert image once it was placed over the mystery image to better line them up. Other than those two things there was no manipulation. This is why we need your help. Who do you think this man is? Is it possible to identify an unknown man’s photo 170 years after it was taken? One thing we want to avoid is wishful thinking. We want your honest opinion. Please use the poll below, the comments section, or take to Facebook and let us know your thoughts. If you like the movies no doubt you have heard of the new Hollywood film The Revenant, starring Leonardo diCaprio and Tom Hardy. The film just won the 2016 Golden Globe Award for best drama and DiCaprio received the best actor award. It has also just yesterday received 12 Oscar nominations. The film is an account of the travails of Hugh Glass, a mountain man who in 1823 was badly mauled by a bear and left for dead by his companions. Glass survived and made a grueling 250-mile trek to safety. Glass’ exploits became cemented in legend, inspiring three movies, two books (including Michael Punke’s 2002 novel The Revenant, which inspired the film), and numerous songs. While The Revenant is fictionalized, many of the events and characters are real, and showcase the life of mountain men. The Museum of the Mountain Man has an excellent account on the real Hugh Glass; we here present to you how Robert Campbell fits in with The Revenant. Hugh Glass did not have a dog with him, and came out much the worse-for-wear after his fight. Campbell was only then arriving in the West when Glass was busy being mauled by a bear. Campbell was in the employ of John O’Fallon, a St. Louis-based businessman charged with supplying an army fort at Council Bluffs, Iowa. His first posting was across the Missouri from Council Bluffs, at Bellevue, Nebraska. During the cold winter that followed, Campbell’s struggles paled in comparison to Glass’, yet neither had an easy time. Glass was attempting to survive while badly wounded and alone in the wilderness; Campbell began having lung issues which would plague him for most of his life. Things were so bad for Campbell that, upon his return to St. Louis in spring 1824, he was advised by a doctor to go into the Rockies. The doctor added, “I have before sent two or three young men there in your condition, and they came back restored to health and healthy as bucks.” It is likely that Hugh Glass would disagree with the sentiment that the Rockies could make you healthy and long-lived. Although there is no evidence that Glass and Campbell ever met, Glass’ epic story would have been told and retold around many a fireside among the fur traders. Campbell also personally knew many of those involved. William Sublette, who became Campbell’s best friend and business partner, was among those hired alongside Glass in 1823. Another famous mountain man, Jedediah Smith, commanded Glass and 39 other men during the battle with the Arikara Indians that opens the film. It was Smith who hired Robert for the fur trade in 1825. Jim Bridger was perhaps the most accomplished of all the Mountain Men, and is believed to have attended every Rendezvous. Like Glass, Jedediah Smith was once mauled by a bear. Unlike Glass, Smith was carried out of the wilderness by his party. Jim Bridger is the figure who is most central to both Glass and Campbell’s experiences. At 18 years of age, Bridger was in the party when Glass was attacked by the bear. According to some later accounts, Bridger may have been one of the two volunteers who stayed with Glass, but thinking him dead, hastened to catch up with the party. It was a good thing for Campbell that Glass forgave Bridger rather than taking his revenge, as Bridger and Campbell would work closely together for the next decade and maintain a relationships for the rest of their lives. Campbell and Sublette built Fort William in 1834. 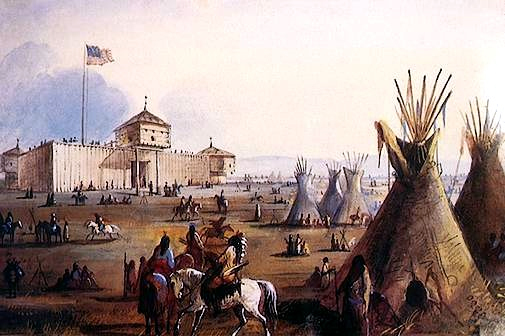 The army took it over later and renamed it Fort Laramie, using the site to sign an historic–and controversial–treaty with several native tribes. Both men were lieutenants in the Smith, Jackson, & Sublette Company beginning in 1826, leading bands of trappers into the mountains for the winter before heading to the rendezvous. While Campbell had a good head for numbers and management, Bridger was unsurpassed in his knowledge of mountain life, making their partnership a useful one. Their relationship continued even in later life, with both men attending the 1850 meeting that resulted in the Treaty of Fort Laramie. Glass and Campbell followed very different trajectories in their time in the West. Although Glass clearly had the stamina and skill to survive in the mountains, he never rose very high within the fur company’s hierarchy. Glass seems to have broken from the companies and worked as a free trader. He played a minor role in bringing the American Fur Company, a rival company to Campbell and Sublette, to the 1830 Rendezvous. Glass later began working out of Fort Union and later Fort Cass, both outposts of the American Fur Company. 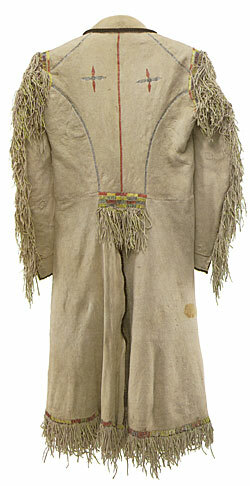 Robert Campbell’s buckskin jacket on display at the Campbell House through April 1. In contrast, Campbell was made a lieutenant in just his second year in the west. In 1830, Sublette first asked Campbell to join as a partner, but he did not accept until 1831. Campbell achieved his own fame for his role in the 1832 Battle of Pierre’s Hole, which led to a role in Washington Irving’s book The Adventures of Captain Bonneville. Two years later, Campbell and Sublette embarked on a risky strategy by challenging the American Fur Company directly by building Fort William just a few miles from Fort Union, Glass’ old trading point. The future was bright for Campbell, but not for Hugh Glass. Glass was killed in an encounter with some Arikara Indians in 1833, a somewhat ignominious end (if predictable) for a man who so often defied death. Still, his legend lives on, and if you find yourself in a movie theater, be sure to check out the epic of Hugh Glass, then head online to the Museum of the Mountain Man or downtown St. Louis to the Campbell House for the real deal! In honor of this movie event come to Campbell House before April 1 to see Robert Cambpell’s magnificent buckskin jacket on display in his bedroom. Contact us for an appointment. Interested in learning more? Hear fur trade historian Dr. Jay Buckley discuss the fur trade, Hugh Glass and the role of Campbell House in this fascinating story on NPR’s St. Louis on the Air with Don Marsh. Next up on our summer intern crew is Michael – In addition to helping us with furniture repair projects, heavy lifting and power washing in the garden, Michael has been hard at work for the last few weeks giving tours and working on a special Campbell-centric research project. Meet Michael! Intern Michael! Visit him this summer and click on his image to learn more about internships at the Campbell House Museum. What are you studying and where? History at Mizzou. Why Campbell House? The Museum was very intriguing and a piece of St. Louis history. When you aren’t having a blast at Campbell House, what are you doing? Hanging out with friends and family, reading and watching shows and movies. 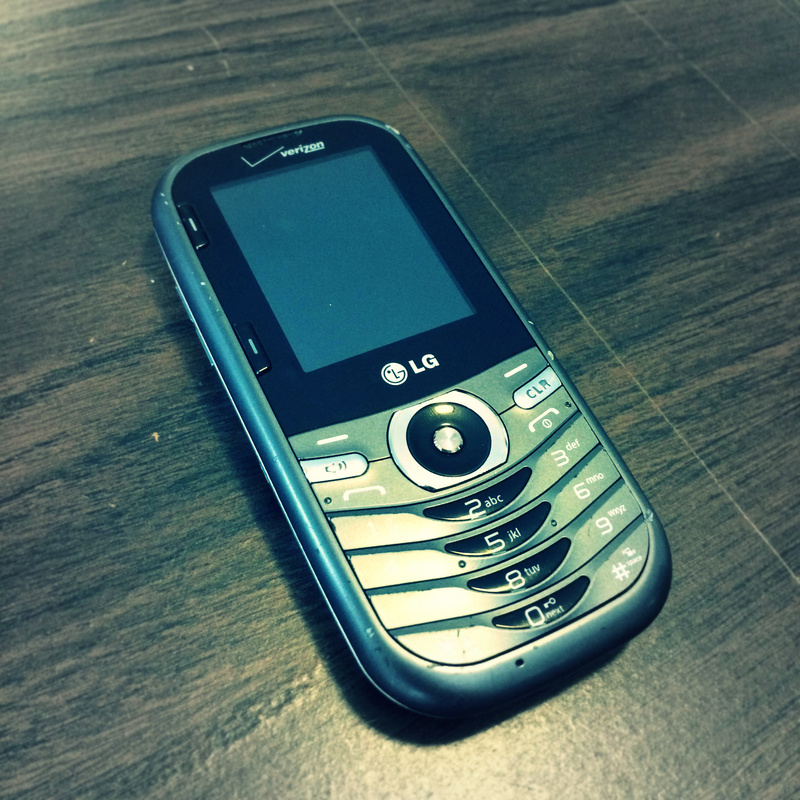 Michael’s phone. He wasn’t kidding. What is your favorite thing about CHM so far? Seeing actual possessions that the Campbells used on a daily basis and finding out more background info about Robert. Favorite band/singer? Billy Joel, Rush. Andy Warhol said that everyone gets their 15 minutes of fame. What happened in your 15 minutes? Multiple service awards and leadership honors. *BONUS* I know all the words to “We Didn’t Start the Fire”. Ice cream – in a cone or a bowl? (also, what kind?) Cone, chocolate with peanut butter cups.